Welcome to 2015! As we move forward in the new year, I2SL continues to expand its reach and work to enhance its value to you, the I2SL community, through new partnerships, as well as additional opportunities for I2SL's Global Community Providers. I2SL recently signed a partnership agreement with My Green Lab, a nonprofit organization that promotes sustainability through a network of lab managers and researchers. I2SL believes that the partnership will help both organizations more effectively achieve their unique missions. I look forward to collaborating with My Green Lab in 2015 to benefit the I2SL community, and I encourage you to learn more about the organization's goals and programs. A partnership is also anticipated with the U.S. Department of Energy's (DOE's) Building Technologies Office (BTO). The relationship will expand I2SL's activities with DOE, which currently include a partnership with the Department's Federal Energy Management Program. I2SL looks forward to BTO's involvement and likely participation in the 2015 I2SL Annual Conference. In addition to broadening our partnerships in 2015, I2SL will work to expand its Global Community, which consists of three areas of participation: I2SL Membership, I2SL Chapters, and I2SL Global Community Providers. I2SL encourages architecture and engineering firms, consultants, builders, and manufacturers to become Global Community Providers and serve as expert referrals for those seeking technical support through I2SL. To promote I2SL's Global Community Providers, we are planning to launch a Web-based Electronic Avenue in 2015. The Electronic Avenue will serve as a marketplace for I2SL Providers to engage with those seeking specific technical solutions that lead to energy efficiency and environmental sustainability in laboratories. I2SL will work to attract reputable technology and solution providers and increase visibility of the services the providers can offer laboratory owners and managers. Get in on the ground floor of this initiative. Learn more about opportunities for Global Community Providers and keep an eye out for more information and opportunities through I2SL's Electronic Avenue. With thanks to our many I2SL partners and I2SL's Global Community of Members, Chapters, and Providers, we anticipate a very exciting new year of collaborations and advancements benefitting this community. September might be months away, but the 2015 I2SL Annual Conference is already taking shape. Whether you are a speaker, exhibitor, sponsor, or attendee, there is no shortage of ways to get involved at this year's event. Read on to learn more about what you can do now to get the most out of your conference experience. The 2015 Call for Presenters is now open! Submit your abstract by Friday, March 20, 2015, to share how you are developing and maintaining your sustainable, high-technology facilities. 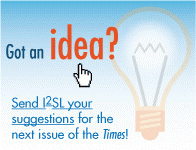 I2SL Members have an extended deadline of Friday, March 27, 2015. Check the Member Portal for additional information. I2SL's onsite mobile application will be back at the 2015 I2SL Annual Conference. The app features exhibitor and speaker profiles, networking opportunities, and a digital conference agenda that helped I2SL save more than 12,000 sheets of paper at the 2014 I2SL Annual Conference. There are also several sponsorship opportunities available in the app, including the splash screen and banners. More than 70 percent of 2014 I2SL Annual Conference attendees downloaded the app, and we expect even bigger numbers this year. Sponsor today to put your organization's name in the palms of attendees' hands. The exhibit hall is filling up fast! As of February 18, 2015, the following organizations have registered to exhibit. Sign up today to secure your space. Draw the attention of hundreds of organizations expected to be represented at the 2015 I2SL Annual Conference by sponsoring. There are a range of opportunities that start at just $500, including digital sponsorships in I2SL's onsite mobile application. The sooner you sponsor, the more time we have to promote your contribution. Lighting is particularly important to laboratory functions and is an area with ample opportunity for design improvements to reduce energy consumption and operational costs. According to a recent article in Laboratory Design Newsletter, laboratory lighting design can be optimized by taking laboratory planning, illumination requirements, and controls-related operational needs into consideration. Designers should review the type of lighting that lab tasks actually require instead of simply following recommended design standards, which can result in more illumination than necessary. Other things to think about include design-related features, such as low ceiling heights and automatic lighting controls (e.g., occupancy-based). Tailoring lighting design is the best way to optimize laboratory lighting and achieve energy savings. Read the full article in Laboratory Design Newsletter to learn more. The article's author, Christopher Rush, also presented “Laboratory Lighting and Control Options and Case Studies” at the 2014 I2SL Annual Conference. Become an I2SL Member to access this and other past presentations in the presentation archive by logging into the Member Portal. According to a recent article in Laboratory Equipment, there are 10 practical strategies that owners, architects, and engineers should consider when striving for sustainable laboratory design. These strategies guide laboratory design to reduce resource consumption and operational costs, while also improving the indoor laboratory environment. Among the recommended strategies are reducing lighting power densities, integrating renewable energy sources like solar panels, and sharing resources across an institution. For example, in some laboratories, researchers share fume hoods, which ultimately decreases the amount of space needed and energy used. Together, these strategies ensure a functional laboratory with a reduced environmental impact. Read the full article in Laboratory Equipment to see the complete list of strategies. I2SL's nine chapters are all planning exciting events for 2015. From movie showings to membership drives to tours, don't miss out on what your local chapter has to offer. 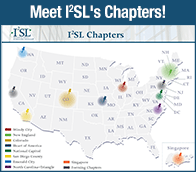 Visit I2SL's Chapter page to see what events are planned and to connect with your local chapter. If a chapter doesn't already exist in your region, contact I2SL to be set up with other local industry professionals who you can work with to form a local chapter. I2SL's New England Chapter invites you to a facility tour of the Fraunhofer Center for Sustainable Energy Systems' (CSE) Living Laboratory on Thursday, February 26, 2015. CSE is a 53,000-square-foot research and laboratory space designed to test sustainable building products and systems. Originally constructed in 1913, the historic building had a major renovation in 2013 to accommodate the Living Laboratory facility. The building design utilized energy-efficient façade features, such as solar control glass, automated shading control, and natural daylighting. Other features include environmental chambers for life-cycle testing of sustainable products and a heating, ventilation, and air conditioning (HVAC) system designed to test the efficiency of chilled beam and fan-coil systems. The building has electrical and gas energy metering systems and a direct digital control management system with demand management and energy dashboards to monitor whole-building energy consumption. The tour will show how the lab was able to significantly reduce whole-building energy consumption through a combination of energy-efficient building materials and systems, and showcase research of new energy-efficient technologies. Attendees will meet at Barlow's Restaurant at 5 p.m. and tours will begin at 5:30 p.m. and 6:30 p.m. Space is limited, so please RSVP if you would like to attend. On February 11, 2015, the I2SL Emerald City Chapter, in coordination with the Environmental Education Fund (EEF), hosted a screening of Chasing Ice, an award-winning documentary that follows environmental photographer James Balog on a journey to capture images of Earth's changing climate. Sponsored by Johnson-Barrow, the event was free to the public. The film features haunting images of mountains of ice disappearing at an alarming rate, and it was also screened prior to the 2014 I2SL Annual Conference. If you are interested in hosting a movie screening through EEF, contact I2SL. Whether you're new to the sustainable laboratory and high-tech facility industry, hoping to expand your knowledge base, or simply looking for a refresher, visit the Laboratory Basics page on I2SL's website for links to definitions, guides, and other resources to help you build your expertise. From glossaries to laboratory design handbooks, stay in the know as you develop your sustainability projects. What's Up With I2SL's Working Groups? I2SL will continue to support several working groups in 2015 to bring new tools and opportunities for involvement. Here is an update on these working groups and opportunities for you to participate. Since its launch in 2002, the Labs21 Benchmarking Tool has compiled user-submitted data to create the largest known database of U.S. laboratory energy usage—covering 5 to 10 percent of the total U.S. lab facility square footage. The I2SL Laboratory Benchmarking Working Group is investigating ways to enhance the value of the tool for designers, facility owners, and others. To this end, the group is developing a survey to gather information from the I2SL Community on your benchmarking needs and desires. Additional working group projects under consideration include interface upgrades, collection of additional facility data, generation of new benchmarking metrics, and incentives to encourage regular data entry. If you are interested in joining the working group, please contact working group chair, Alison Farmer. The survey will be distributed in the coming weeks, and I2SL will share it with you so that you can provide input. 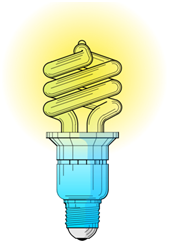 What is your institutional readiness to save energy, money, water, or plastic in a high-performance research setting? If you would like a tool developed that can help you find out, join I2SL's Laboratory Continuous Performance Improvement Program (LCPIP) Working Group. Laboratory sustainability improvements require strategic cooperation from facilities, safety, design and construction, research, finance, and procurement stakeholders, and typically require the use of different software tools. Several LCPIP Working Group volunteer sub-committees are developing performance guide tabs in a streamlined spreadsheet designed by Allen Doyle from University of California, Davis, that will help users score their facility on a scale of one to five based on various levels of performance. Performance tabs for fume hoods, ventilation management, ultra-low freezers, lab consumables and recycling, and researcher engagement are under final review. Beta versions could be available for trials by early summer, and the tabs will be finalized by the 2015 I2SL Annual Conference. Four additional performance tabs are in the early stages of development. These include plug load and electronics, metering, green chemistry, and water. Check out the draft LCPIP tool, contact I2SL if you would like to be involved in this effort, and look for presentations on our progress at the 2015 I2SL Annual Conference. I2SL established the University Alliance Group, chaired by Kathy Ramirez of the University of Colorado, Boulder, to identify issues faced by universities. The group holds regular conference calls and is currently tackling issues involved with connecting sustainability to federally supported research at universities. The group plans to convene an in-person meeting on May 29 in Washington, D.C., and will meet again at the 2015 I2SL Annual Conference. University and federal representatives are encouraged to get involved. Contact I2SL to join the group. I2SL's Laboratory Facility Management Through Building Information Modeling (BIM) and High-Technology Operations and Maintenance Certification Working Groups will also continue their efforts in 2015. If you are interested in participating in these, or any of I2SL's working groups, please contact us. In November 2013, a Laboratory Fume Hood Summit was held at the University of California, Los Angeles (UCLA) to discuss design, operation, and testing of laboratory fume hood and ventilation systems. Join I2SL for A Current Consensus on Safety and Performance of Laboratory Hoods and Ventilation Systems, a webinar providing an overview of the summit and exploring ways to reduce energy consumption while better ensuring the health and safety of people in or around laboratory buildings. Sign up to attend the live webinar on March 19 or to view the recording. 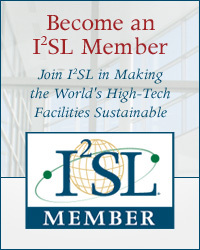 Get involved before (and after) the I2SL Annual Conference by becoming an I2SL Member. You will be able to tap into the benefits available exclusively to I2SL Members. More than 300 of your colleagues have already claimed affiliation with I2SL as Members. Don't be left out! Sign up today. Laboratory Design Newsletter recently published selected extended abstracts from the 2014 I2SL Annual Conference, which offer additional details about a variety of successful strategies to build and maintain environmentally sustainable laboratories and other high-tech facilities. View the full list of extended abstracts developed by conference speakers and check them out in I2SL's E-Library. A December article in Laboratory Design Newsletter also featured the 2014 Go Beyond Award winners. The article puts a spotlight on the winners and their achievements in the award's four categories: Individual, User Product, Project, and BIM for Laboratory Operations and Maintenance. Read more about how these award winners went above and beyond in increasing laboratory sustainability, and stay tuned for details about the Go Beyond Awards in 2015. A call for nominations will be sent out this summer, and the awards will be presented at the 2015 I2SL Annual Conference in San Diego, California. The deadline to submit an abstract for the 2015 Call for Presenters is March 20, 2015. Don't miss the opportunity to share your work at the 2015 I2SL Annual Conference—submit your abstract today! Registration for the 2015 I2SL Annual Conference will open in May 2015. Get a preview of conference costs so you can plan your budgets now. This September, hit the beach! 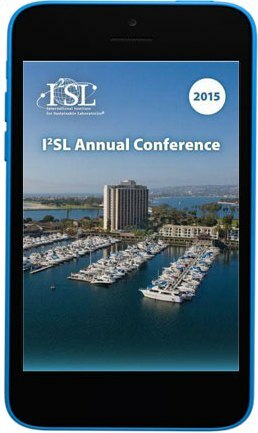 Start planning a vacation around the 2015 I2SL Annual Conference, taking place at the Hyatt Regency Mission Bay Spa and Marina in San Diego, California. Book your hotel reservations today to take advantage of I2SL's discounted block rate, which is effective three days before and after the conference. After today's webinar, “Establishing a Corporate Sustainability Program,” register to attend our next High-Tech Talk on March 19. I2SL is dedicated to the design, engineering, and operation of high-performance, low-energy, sustainable laboratories and other high-tech facilities. Tim Kehrli, Stirling Ultracold • Jim Plourde, Schneider Electric • Tom Smith, Exposure Control Technologies, Inc.